Altus, Oklahoma, U.S.A. Altus AFB has deep roots in the history of military aviation and continues to be at the forefront of aviation training. Indeed, the city of Altus is known throughout the Air Force for its enthusiastic support for our servicemen and women. The City of Altus is one of Oklahoma's fastest-growing, most prosperous and progressive cities. Altus offers a good family life and some of the finest game lands in the country. Military Retires find Altus' cost of living an important factor for picking Altus to spend their retirement years. Altus Army Air Field began training pilots to fly twin-engine aircraft in 1943. Most of the 5,377 graduates served in Europe in World War II. The Army stopped using the field in 1945. The Air Force activated Altus Air Force Base in 1953. A Tactical Air Command troop carrier wing operated from Altus for ten months, and then the Strategic Air Command assumed control of the base. It operated bomber and tanker aircraft and maintained 12 Inter-Continental Ballistic Missile sites around southwestern Oklahoma. Military Airlift Command assumed operations in 1968, making Altus the formal training base for C-5s and C-141s. These large airplanes necessitated a major construction effort including a fuel doc, avionic repair shops, a flight simulator, and alteration of the hangers. The 443rd Military Airlift Wing trained crews at Altus until 1992. Then the Air Force inactivated the 443rd and activated the 97th Air Mobility Wing. In 1993, Military Airlift Command turned the wing and base over to Air Education and Training Command. Soon after that the KC-135 Combat Crew Training School moved to Altus from Castle AFB, California. The 97th Air Mobility Wing is new to the airlift mission, but has a long bomber/tanker history. The Wing dates back to 1947, when the Air Force activated Mile 26 Air Field, later Eielson AFB, Alaska. The 97th has operated several B-29 and B-47 variants, but flew B-52s for over 30 years. It also pioneered the use of boom-equipped tanker aircraft for the air refueling mission. The Wing has participated in many contingencies and wartime operations. A B-52 from the 97th flew the last bombing mission over Cambodia during the Southeast Asia Conflict. Members of the 97th formed a provisional wing in England in 1991, and flew bombing missions during Desert Storm. Altus OK is located in the southwest corner of Oklahoma at the intersection of US Highway 62 and State Highway 283. 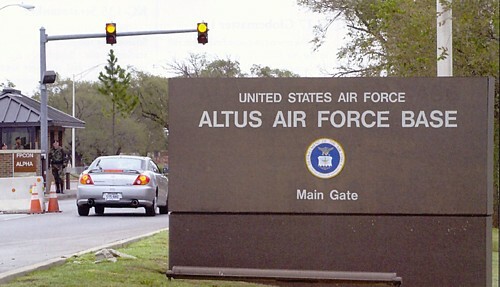 Altus AFB is located east of the City of Altus and the main gate is on Falcon Road. MapQuest, Google Maps and Yahoo Maps can provide driving directions to the zip 73521 and the address 308 N. 1st St, which is the Airman and Family Readiness Center. Altus AFB is serviced by either Lawton Municipal Airport or Oklahoma City Will Rogers WorldAirport. If you arrive by commercial airline at either airport, and your sponsor does not meet you at the airport, transportation can be arranged with VIP Transportation of Altus, Inc. by calling toll free 1-877-804-2865. Commercial taxi service is available from Lawton Municipal Airport to Altus AFB. There is a military representative at the Lawton Municipal Airport from 4:30 a.m. until the last flight arrives, usually about 10:30 p.m. if you need assistance. It is very important to coordinate your travel plans with your sponsor. Your sponsor can assist you with obtaining transportation from the airport. While driving in Oklahoma, you may enter a turnpike that is a toll road. Rates vary according to the vehicle you drive and the turnpike you travel. On some turnpikes, your entry and exit factor into the toll rate. Manned toll booths have three lane options: Correct Change, Cash, and a lane for Pikepass account holders. You will need correct change at all unmanned toll booths. Go to the Oklahoma Turnpike Authority website for more information and to see the toll fares/chart for all vehicle classifications and rates on all Oklahoma turnpikes, the latest on current construction on the toll ways, and to get the current traffic advisories. If you are driving by car, all highways leading to the base are well marked. When traveling to Altus AFB via U.S. 62, turn north on Veterans Drive and follow the signs leading to the main gate; when traveling to base via State Highway 283, turn east on Falcon Road and follow the signs. When you arrive at the main gate, you will need to show them your Military ID Card and identification for each family member/passenger. They may ask you to enter the Visitor Control Center immediately to your left to get a visitor's pass. 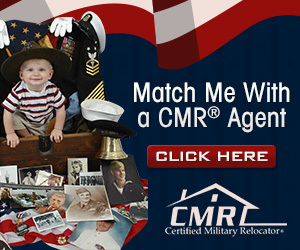 There you will need to show them your military ID card, your Driver’s License, and a copy of your orders. They may also request to see your Vehicle Registration and Proof of Insurance. The base gate staff is happy to provide directions to any base location and will give you directions to the 24-hour arrival point, the Red River Inn, building 82, located at 109 E Avenue. No listings found for Altus Air Force Base.